URGENT UPDATE: PA JUDGE IMMEDIATELY DISMISSED MAJOR TILLERY’S LAWSUIT AS “FRIVOLOUS.” MAJOR TILLERY WILL FIGHT THIS IN FEDERAL COURT! Major Tillery filed a civil rights lawsuit pro se against John Wetzel, Secretary of the Pennsylvania Department of Corrections (DOC), SCI Mahanoy Superintendent John Kerestes, SCI Frackville Superintendent Brenda Tritt and 17 other prison officials. The DOC punished and retaliated against Tillery for acts of solidarity with Mumia Abu-Jamal and other prisoners fighting for the fundamental human right of medical care. This is a civil rights action brought by Major George Tillery, a 65 year-old African-American man to stop and remedy retaliation against him for his exercise of his First Amendment Rights. 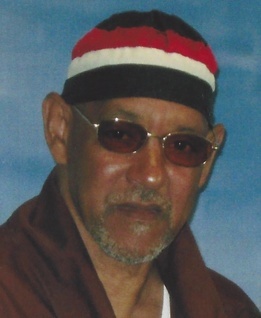 Tillery was subjected to numerous retaliatory acts by the Pennsylvania Department of Corrections and its employees, including medical neglect and medical mistreatment, unjustified cell searches, transfer to another cell block, loss of his prison job and precipitous transfer from SCI Mahanoy to SCI Frackville and then being set-up with a false misconduct and given over four months in disciplinary custody (solitary confinement). This retaliation was intended to punish and stop Tillery from filing grievances challenging medical neglect and mistreatment of him and other prisoners, including the well-known journalist and former death row prisoner Mumia Abu-Jamal. This retaliation was punishment for Tillery continuing to publicly advocate for Mumia Abu-Jamal, and to publicly expose the DOC’s neglect and mistreatment of prisoner’s medical problems as well as the DOC’s retaliation against Tillery; and continuing to file grievances objecting to these retaliatory actions by prison officials. Throughout his over thirty years in prison serving a sentence of life without parole, Tillery has challenged his conviction and sentence, and unconstitutional restrictions on access to courts, prison conditions including security classification and placement procedures, medical treatment, and housing conditions on behalf of himself and other prisoners. He was held in solitary confinement in super-max institutions in the federal and Pennsylvania prison systems for over twenty of those years. Tillery was the lead plaintiff in Tillery v. Owens, a class action lawsuit filed July 23, 1987, challenging the constitutionality of the conditions of confinement at the State Correctional Institution at Pittsburgh (“SCIP”) located in Pittsburgh, Pennsylvania. It started as a pro se legal action by Tillery. It resulted in an historic legal order requiring remediation of unconstitutional prison conditions including deficient security, fire protection, access to the courts, over-crowded housing, medical care, mental health care and dental services. The DOC was required to make prison renovations costing more than a million dollars. See Tillery v. Owens, 719 F.Supp. 1256 (W.D.Pa.1989). Major Tillery demands that the DOC stop its retaliation, remove the false misconduct from his record, provide medical treatment and transfer him out of SCI Frackville to a different prison in eastern Pennsylvania so he remains near his family. 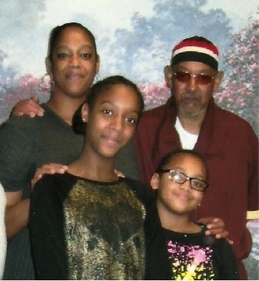 This lawsuit is just part of Major Tillery’s fight for medical care and to protect himself and other prisoners who are standing up for justice. He has liver disease and chronic Hepatitis C that the DOC has known about for over a decade. Tillery is filing grievances against the prison and its medical staff to get the new antiviral medicine. This is part of the larger struggle to obtain Hep C treatment for the 10,000 prisoners in Pennsylvania and the estimated 700,000 prisoners nationally who have Hepatitis-C and could be cured. It is so important that my Dad filed this lawsuit– it shows what really goes on inside the prison. Prison officials act as if my father is their property, that his family doesn’t exist, that he isn’t a man with people who love him. They lied to us every time we called and said he needed treatment. They lied and said he hadn’t told them, that he hadn’t filed grievances. The DOC plays mind games and punishes prisoners who stand up for themselves and for others. But my Dad won’t be broken. The DOC needs to learn they can’t do this to a prisoner and his family. Justice has to be done. Justice has to be served. Please help. Demand decent medical care for Major Tillery!